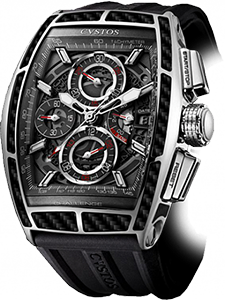 In the elite world of Swiss Haute Horlogerie, there are some brands that instantly make an impact, leaving connoisseurs speechless. 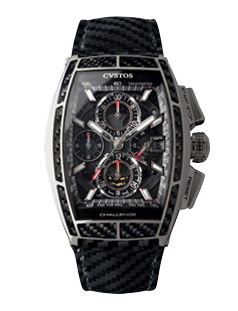 Cvstos is one such brand. 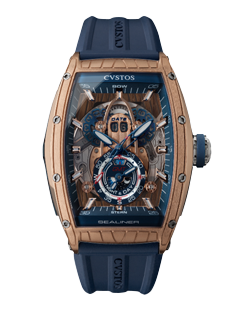 Ever since its launch in 2005, Cvstos, with its distinctive high-tech approach to exclusive watchmaking, has boldly risen to the challenge of creating a pioneering style and a new market demand. 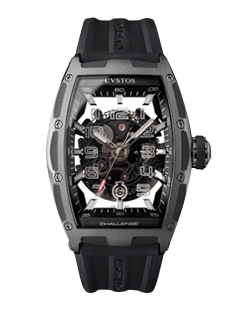 Taken directly from the Latin for "guardian", the name Cvstos was freely inspired by the boundless creativity of an exceptional team of complementary talents, each one fired by a burning passion to produce one-of-a-kind timepieces. 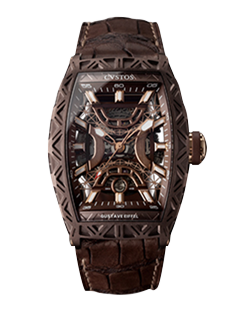 Illustrating a powerful holistic concept, the Cvstos style embraces a particularly modern approach to design, one that manifests itself in the perfect balance between traditional watchmaking and state-of-the-art innovation. 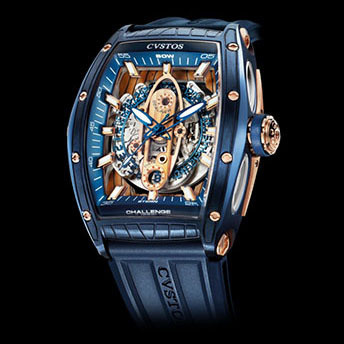 Always a step ahead of time, Cvstos, the avant-garde benchmark in high-end watchmaking, anticipates current trends, relentlessly pursuing growth by doing today what others will do tomorrow.